Silicon Valley and the tech community at large has been a staunch opponent of Trump’s immigration policies, from the “Muslim Ban” executive orders to H-1B restrictions. Today sees 162 companies banding together to file an amicus brief in support of a lawsuit challenging the revised immigration order issued in March. 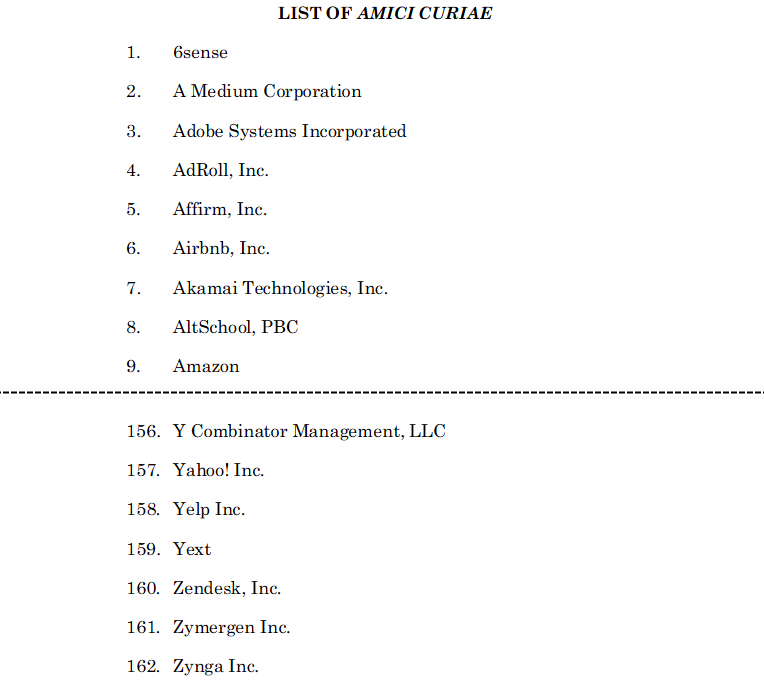 Pretty much all the majors are listed as amici: Facebook, Google, SpaceX, Amazon, Salesforce, Microsoft, etc. After describing for several pages the achievements of immigrants as far back as Nikola Tesla, the document lists its arguments for why the order is (still) unreasonable and unlawful. Like the First Executive Order, the Second Order effects a fundamental shift in the rules governing entry into the United States, and is inflicting substantial harm on U.S. companies, their employees, and the entire economy. The power of the president to ban certain persons from immigration temporarily is acknowledged, but described as totally out of line with the scope of the bill. …the ban applies to literally millions of people who could not plausibly be foreign terrorists: hundreds of thousands of students, employees, and family members of citizens who have been previously admitted to the United States, and countless peaceful individuals who are citizens of or born in the targeted countries. Trump’s second order, like the first, is facing legal challenges at the national level. The administration declined to further appeal the rejection of the first, instead opting to craft a revised version — which faces similar but possibly more manageable legal opposition.